Thank you for donating to Reading with Rover! If you don’t have an iGive account, it’s fast, easy and costs you nothing! Whenever you spend money through iGive, the vendor donates a specified percentage of your purchase price to Reading with Rover! How easy is that!!! All you do is go to iGive.com and install the iGive toolbar. You specify Reading with Rover as the charity to whom you want all your donations to go, and start spending money online as you normally would — it’s that easy! Click on the iGive link right now and start contributing painlessly to Reading with Rover instantly! Thank you! 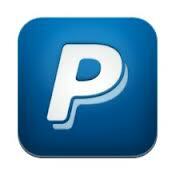 If you don’t have a PayPal account, it’s fast, easy and free to create an account. And with your PayPal account, you can send money to anyone with an email address! How convenient is that! Make donations with PayPal – it’s fast, free and secure! 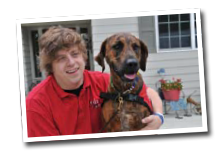 Click the link above and Donate to Reading with Rover via PayPal today! You can donate to Reading with Rover by simply writing a check and sending it via US Post. We accept donations in any amount because every dollar helps. PO Box 2569, Woodinville, WA 98072-2569. Remember: every dollar you donate is completely tax deductible! Reading with Rover is a registered non-profit corporation under IRS Code Section 501(c)(3). All of your donations are fully tax deductible. You can rest assured that your donation will go toward the continuation of the Reading with Rover program and will pay for new books for under priviledged children, training scholarships for worthy shelter dogs, and educational materials to increase awareness of the Reading with Rover program. Whatever amount you decide to donate, we thank you so much for your help. We appreciate your generosity and support!